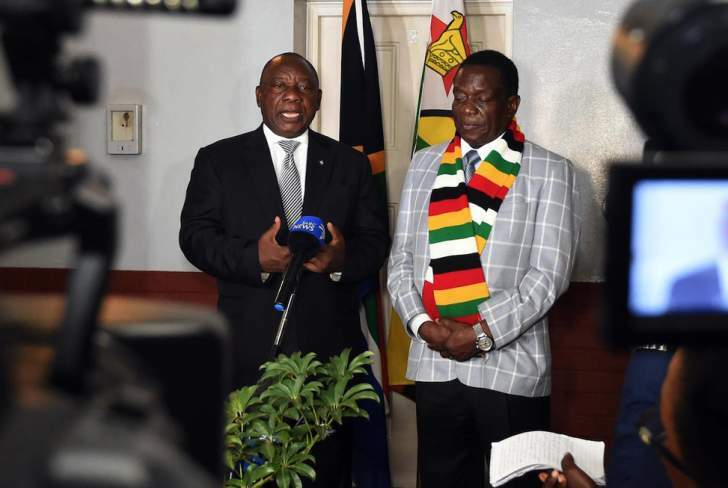 SOUTH Africa's department of international relations and cooperation (Dirco) says it is business as usual in Zimbabwe following almost a week of bloody protests that claimed several lives and left dozens injured. "The minister (Lindiwe Sisulu) has noted that protests in Zimbabwe have calmed down and life in the streets of Zimbabwe is returning to normal," said Dirco's spokesperson Ndivhuwo Mabaya. The protests were sparked by president Emmerson Mnangagwa's petrol price hike. Mnangagwa announced the petrol price would increase from $1.43 (about R20) to $3.31 (about R45) per litre and diesel from $1.38 to $3.11 per litre, making Zimbabwe's fuel the most expensive in the world. Mnangagwa's government shut down internet services for a day during the unrest and later restored it for a couple of hours before shutting it down again. "Minister Sisulu indicated that the South African government was working with the Zimbabwean government in finding a short and long term solution to the economic situation," said Mabaya. "The minister added that if the situation is not attended to, the current economic challenges can derail the political and economic progress the country has made since the election of the new president." The Zimbabwean police said three people died during the recent protests but human rights activists said there was evidence of at least a dozen people being killed. During the unrest, a number of protesters resorted to looting private businesses in high-density areas. In Bulawayo's suburb of Nketa, six people broke into supermarkets in shopping centres on Wednesday morning and took just about everything they could get their hands on. "They were walking from Nkulumane to raid. No one dared stop them because they were in violent mode. One woman and her husband each had a trolley. She had a child strapped on her back. She kept telling the husband to walk behind her to protect them," she said.